Sheer and elegant tights. Very gentle to your skin. NEW COLOURS AVAILABLE! 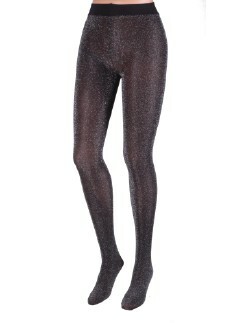 Elbeo Climate Comfort Extrawide tights are made of breathable and climate regulating function fibers called Ergomax. Are you looking for knit wool or cotton tights? Then you've come to the right place! Here we have every sort of tights wool or cotton that you can imagine. Whether you are interested in classic tones or stylish patterns, all of our knit tights are of a particularly high quality, making them not only comfortable and flexible, but also durable. We also have cotton tights with mottled or solid colors as well as tights made from cashmere, silk, agora, and other microfibers. Knit tights cotton or wool and especially textured tights make for a fabulous accessory during the winter season because they can elevate outfits with many dark tones like blue, gray, and black into an impressive outfit. Knit wool or cotton tights also pair well with winter boots under dresses or skirts, as well as under long sweaters. Knit cotton or wool tights are perfect for the autumn and winter seasons, but not just because they keep you warm; these tights wool or tights cotton are also stylish and comfortable. Our wide selection of knit wool and cotton tights comes with a huge selection of fashionable colors, exciting patterns, and interesting textures, making it possible to create a stylish outfit even during the colder months of the year.